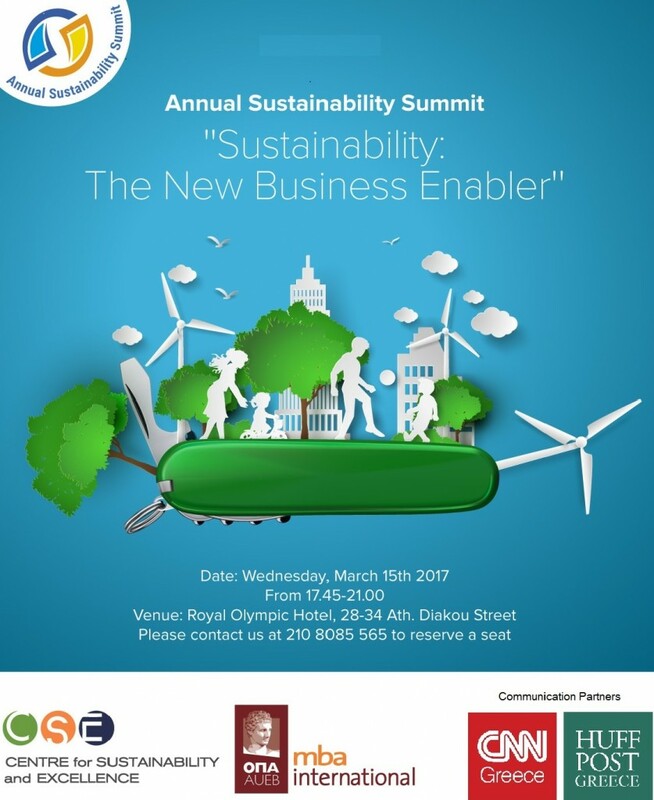 i-MBA and CSE jointly organize the Annual Sustainability Summit 2017, focusing on the theme: “Sustainability: The New Business Enabler”. The event will take place on Wednesday 15th March 2017, 17:45-21:00, at Royal Olympic Hotel (28-34 Athanasiou Diakou Street). During the event, distinctions will be awarded to companies that took significant initiatives on Corporate Social Responsibility during 2016 as well as to MBA International students and alumni. 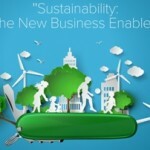 For more information you can contact Marina Alonistioti (tel. : 210 8085565) or Afroditi Kompoliti (tel. : 210 8203659). To register, please send an e-mail at imba@aueb.gr. 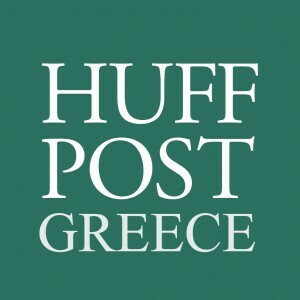 The event is kindly communicated by CNN Greece and Huffington Post .